If you wish to investigate current or decided Planning Application you can do so on The London Borough of Croydon’s website – just follow this link and fill in the details – address of, if you know it the Planning Application Number omitting the year and the /P and only entering the five figure unique number. 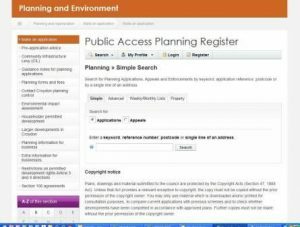 https://www.croydon.gov.uk/planningandregeneration/view-application – http://publicaccess2.croydon.gov.uk/online-applications/search.do?action=simple&searchType=Application. You can obtain a single planning application or for a particular address or, in the advanced search a range of dates. You can also obtain Planning Applications forms via this link from LBC or you can submit through The Planning Portal which enables you to submit Planning Applications electronically. The Portal also contains other useful planning information such as Development Plans and Proposals Maps for over 50 planning authority areas across the UK, including the London Borough of Croydon (these are statutory documents prepared by local planning authorities that set out the guidelines for local development); planning contacts in your local area, information on how the planning system works, relevant planning regulations and guidance notes; information on how to determine if planning permission is required, how you go about obtaining it and appeal procedures and the latest planning news and information on job vacancies in planning. http://www.planningportal.gov.uk/ . 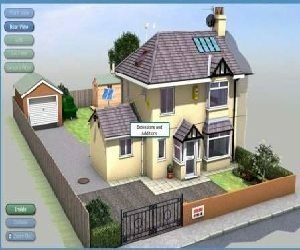 The Interactive House and Interactive Terraced House are also there but you can access directly if you follow the links below.